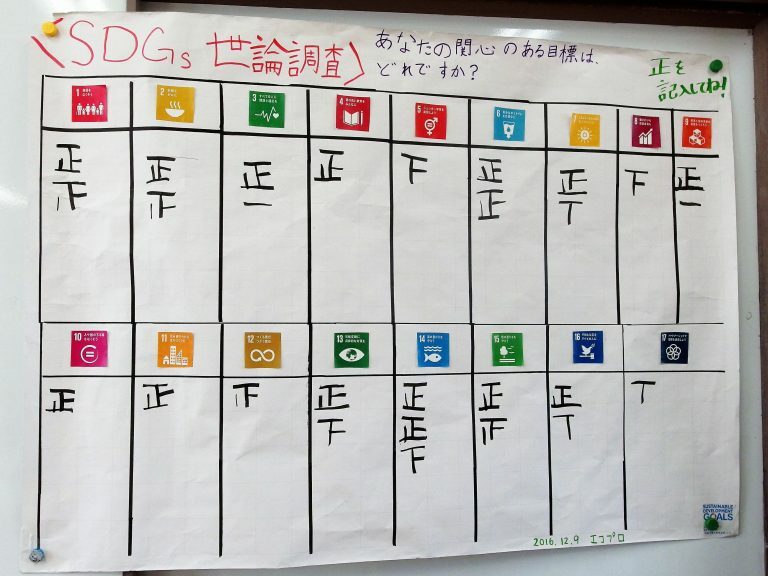 Nagatadai Municipal Elementary School in Yokohama City, Japan, a UNESCO approved school by Associated Schools Project Network, incorporates ESD (education for sustainable development) in its curriculum. Facilitators presented the2030 SDGs Game to fifth grade students. The walls of the classroom were filled with posters displaying students’ exhibits from past events about the environment and their comments on previous SDGs classes. This was a clear indication of how much the children’s interest in the SDGs had been elevated. From the start of the game, the classroom was bustling with energy. Some teams hurried to achieve their projects quickly, while other teams immediately began to negotiate with the teams around them. “Help, I need more money! !” The facilitators were amazed at how quickly they got the gist of the game. However, their movement began to slow down after a while. Several children stared at the World Condition Meter, expressed by magnets on a whiteboard. In order to achieve some projects, there are conditions to be met. For example, the World Condition Meter has to be at a certain level: some project cards requires the Environment (green) to be at 3 or more points to run it. Looking again at the world condition meter, Environment (green) and Society (yellow) points had gone way down while the Economy (blue) was growing at a fast pace. Somehow, while they were looking at their own cards and trying to reach their goals, the world had dramatically changed! This realization reliably dawns on the players at some point during the game. The facilitators called out, “Speak up about what you want that you need help with” to make it clear what was happening in their world. Then each team started telling each other their goals and how much money and time they needed to achieve them. At this point the first part ended, at which time 3 out of 10 teams had achieved their goals. How would these young people think and act in the second part of the game? Does this project benefit society? Compared to the first part, where they were focusing on their own goals, the behavior of the children in the second part changed, with some looking for “a better way for everyone” by watching what was going on in the world as a whole. One boy was thinking intently and looking at his cards. He said that he had watched a TV news program on the depopulation issue. The children seemed to be considering the impact of the projects themselves and how they would affect the world, connecting them with things that they have learned in their daily life experience. The boy thought deeply for a while, then went to look for a team who had project cards that would have less impact on the environment and society. We want to play again! When the second part was over, three more teams had achieved their goals, and the meters of the Environment (green) and Society (yellow) had both increased a little. Each child wrote down their discoveries on post-its. Snack foods impact the world? Then the children were invited to deepen their understanding about individual actions and how that could impact the world. The facilitator explained how the use of palm oil can lead to illegal deforestation and labor problems. 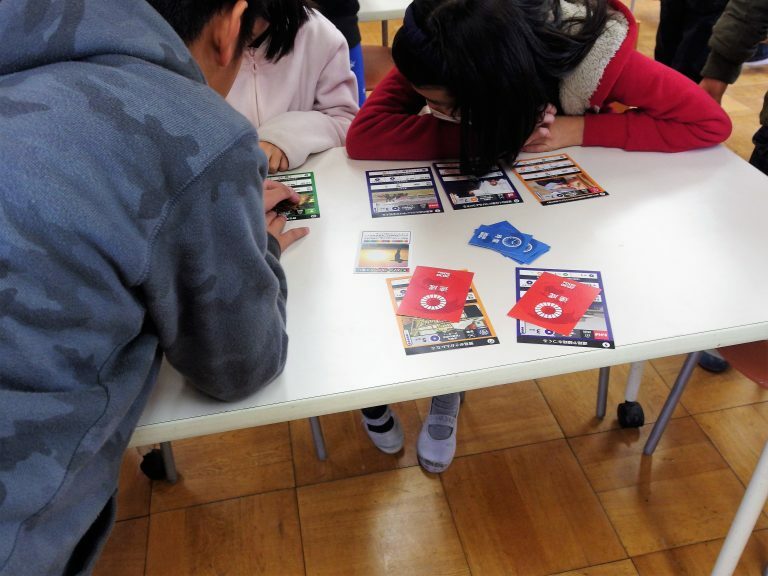 Since the children were already aware of the connections between themselves and the world through their experience of the game, they listened to the facilitator with intent, serious gazes. “Just like some of you were noticing things like the green points were decreasing, the purpose of the SDGs is to set goals to make the world condition clear and understandable. 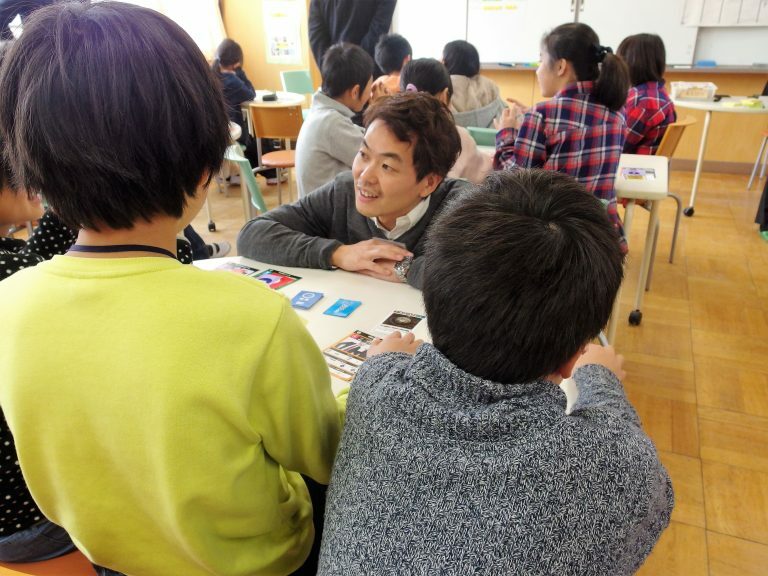 The children, who had until then studied various individual social issues, learned how those issues all connected to one another and to themselves through the virtual experience of playing the game. The class gave them an opportunity to deepen their own personal sense of how their behaviors and actions can make an impact on social issues. 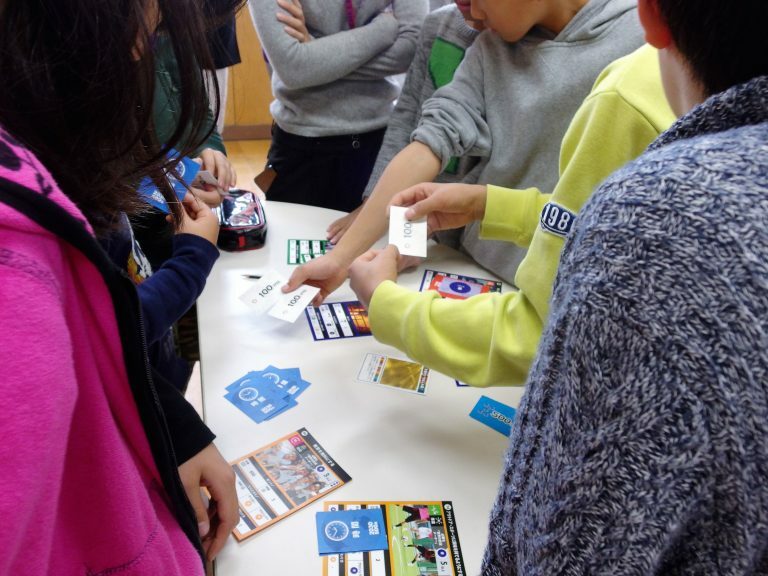 【Corporation Case】 Increasing “ownership” through the game / Unilever Japan Co., Ltd. If you want to read more news, please click.